Every avid hunter knows how important it is to go hunting using the right hunting backpack. Using the wrong hunting backpack in the field can not only cause the hunter a great deal of discomfort but can also easily make the hunting expedition an unsuccessful one. There are currently a number of very popular hunting backpacks on the market that are equipped with lots of technological features that play a number of vital roles in the field. 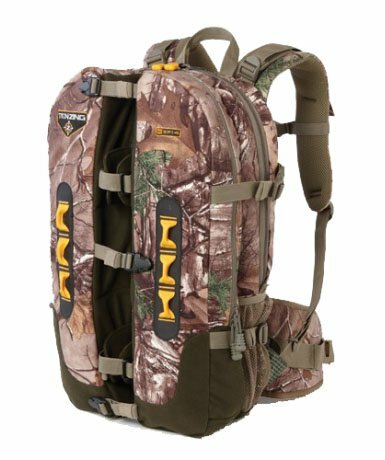 One such popular hunting backpack is the Tenzing TC SP14 Shooter’s Pack Hunting Backpack, Realtree Max Xtra. In this review, we are going to take a look at some of the major things that make the TC SP14 rank high among the most popular hunting backpacks out there. 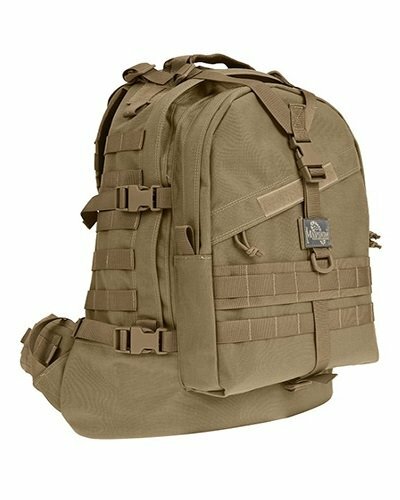 In addition to the features of the backpack, this review shall also cover the pros and cons of the pack as well as customers’ most commonly asked question. 1.11.1 Q. Who are the manufacturers of the TC SP14 Shooter Pack? 1.11.2 Q. What is the height of the backpack? 1.11.3 Q. Can it securely hold a crossbow? 1.11.4 Q. What is the total weight of the Pack? 1.11.5 Q. How many cubic inches is the TC SP14 Shooter Pack? 1.11.6 Q. Is the pack also capable of securely holding a rifle? 1.11.7 Q. Is the TC SP14 Shooter Pack hydration compatible? 1.11.8 Q. Is it waterproof? The pack is able to enhance your personal comfort thanks to its breathable mesh back pad which not only provides support to the lumbar area of your back but also allows for an excellent circulation of air to keep your back cool and prevent sweat from accumulating on your back. The pack comes with a built in foldout rain cover that is solid enough and hundred percent waterproof to prepare you for bad weather. The rain cover is designed in such a way that it completely covers the backpack, thereby ensuring that both the pack and its contents remain dry and safe in rain or snow. The TC SP14 Shooter Pack comes with a hydration pocket that provides a simple way to conveniently carry about 2 liters of water hands free. This makes it very convenient to stay hydrated while you are on the field. The pack comes with well-padded hip belts which help in efficiently distributing the entire weight being carried in the backpack. Thanks to the well-padded, weigh-bearing hip belt, the load in the backpack can feel significantly lighter, thereby allowing the hunter to trek for miles at a time without feeling much pressure from the load he or she is carrying on the back. The pack is widely considered as the first hunting backpack equipped to accommodate a crossbow. Indeed, one of the most prominent highlights of the pack is its ability to safely and conveniently carry a crossbow. The pack has a split through center channel designed to fit a crossbow. Having placed the crossbow into this channel, all one has to do to keep it secured is use the specialized compression straps that the pack comes with to strap the crossbow securely. In addition to being capable of carrying a crossbow, the pack’s split through center channel is also perfectly capable of securely and conveniently holding a scoped rifle. In addition to securely holding the rifle, the backpack allows one to use the rifle while it is still strapped to the backpack. This means that one doesn’t need to free the rifle from the backpack before being able to use it. This is a very important feature in the sense that it reduces the hunter’s risks of missing a shot since the hunter doesn’t have to waste time freeing the rifle from the pack before he or she can use it. The TC SP14 is designed in such a clever way that in addition to being a very good hunting backpack, it can also function as a solid shooting rest which saves the hunter the trouble of having to carry a tripod shooting rest with him or her into the field. This shooting rest behaves just like any other shooting rest in the sense that it provides the hunter the much needed stability required for making the best shot possible. Comes with a ton of pockets, which makes storing your gear convenient. Comes with a foldout rain cover. It is a quiet and a very versatile backpack. One does not need a shooting rest for rifle with this pack since the pack can easily be used as a stable shooting rest. Holds your crossbow or rifle securely and conveniently, thereby keeping your hands free for other important things. Comes with an excellent comfort stretch waist-belt system. Allows the hunter to use the gun while it is still strapped to the pack without removing it. The pack itself isn’t waterproof. After you have strapped your crossbow in, you are left with little space for the rest of your gear. While it has ample room to take about a day’s worth of items, it does not really have the capacity to store gear for more than a day in the woods. In other words, it has insufficient room for an overnight pack. This is the reason why many hunters consider it a poor overnight backpack. Q. Who are the manufacturers of the TC SP14 Shooter Pack? A. The backpack is manufactured by Tenzing Outdoors, who have over the years made a name for themselves supplying hunters and outdoor enthusiasts with quality outdoor gear and apparel. Q. What is the height of the backpack? A. It is 29 inches in height. Q. Can it securely hold a crossbow? A. Yes it absolutely can. As a matter of fact, one of the highlights of this pack is its ability to conveniently and securely hold a crossbow. A. The pack weighs approximately 4lbs 6oz. Q. How many cubic inches is the TC SP14 Shooter Pack? Q. Is the pack also capable of securely holding a rifle? A. Absolutely. In addition to perfectly holding your crossbow, the pack is also capable of securely and conveniently holding your rifle. Q. Is the TC SP14 Shooter Pack hydration compatible? A. No. However, it does come with a built in rain cover which can easily be used to cover the entire pack in order to keep it and the content inside dry during a downpour. 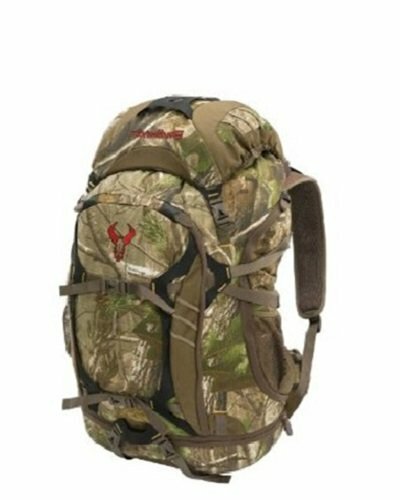 From the Tenzing TC SP14 Shooter’s Pack Hunting Backpack, Realtree Max Xtra review above, we can clearly see that the pack is a versatile pack crammed with a whole lot of functionality that every hunter – especially a crossbow hunter will find useful in the field. It is therefore not surprising that the TC SP14 Shooter Pack is one of the most sought-after hunting backpacks out there.